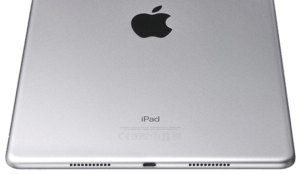 Home → Apple → Is the iPad an Ultimate PC Replacement? 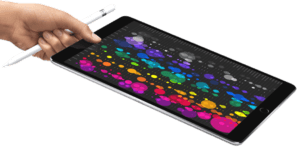 On the surface, the iPad Pro 9.7″ looks just like the last few iPad Air models. That’s not exactly a bad thing. This is one of the thinnest tablets out there, which in pair with the lightweight, does a lot for in-hand use. The 12.9″ iPad Pro always tends to feel a bit too big, it’s an absolutely giant tablet where the 9.7″ feels more like the right trade-off between screen size and portability. 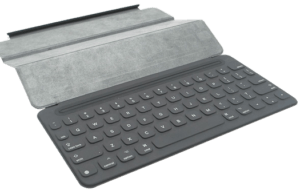 The aluminum build feels familiar if you’ve used any iPad ever. It might not be exciting, but there’s no denying that it’s a solid piece of hardware. It’s one thing to make a nice iPad, but it’s an entirely different story when you want to replace a PC. It does have a few things going for it. Inside it has reasonably decent specs with the Apple A9X, 2GB of DDR4 RAM and either 32GB, 128GB, or 256GB SSD. It compares decently with the Core i5 powered Surface Pro 4 which is absolutely no slouch, it even narrowly edges it out on the graphics side as well. Apple claims it has more horsepower than an Xbox 360. Not only does it handle graphically intense titles easily, but it’s seriously quick in day-to-day use. App switching takes no time and even with several apps open and multiple browser tabs it doesn’t lock up. 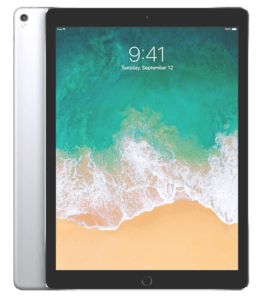 It might be clocked a bit lower than the 12.9″ iPad Pro, but it’s also got a much smaller screen to drive which more than evens the playing field. The hardware might be there, but can iOS really replace a Windows PC? Your first off-the-cuff response is probably of course not and it definitely has its limits. You’re not going to find most pro-oriented apps like Photoshop or a version of Chrome that supports plugins like Flash. While the App Store has a decent variety of games you certainly aren’t going to find PC caliber titles. It might be a reasonably powerful iPad, but this definitely won’t replace your gaming PC. To be fair, it probably can replace a laptop for most things. Web browsing feels right on par with new machines and there are a lot of solid optimized iPad apps available for everyday use like Spotify and YouTube. If you’ve used an iPad in the last couple of years none of this will be a surprise but there are some pro-oriented features. With the latest generation of iPads, you get essential features like actual multitasking. While there’s a basic version of this on a few iPad models the Pro supports two full apps on screen at once which makes this actually usable as a work machine. Simple things like being able to play a video in a pop-up player are legitimately really useful. You can have a browser open on one side and Twitter on the other for example. 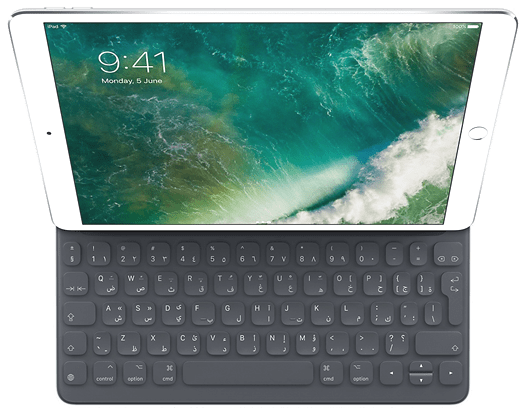 The biggest thing that makes the iPad Pro even remotely usable as a replacement laptop is the Smart Keyboard. While the software keyboard on this screen size actually isn’t bad, there’s no competing with a proper physical solution. That’s where the Smart Keyboard comes into play. This is an accessory that neatly folds up as a cover when you’re not using it. It makes a big difference. iOS might not be designed from the ground up for keyboard use, but this goes a long way in giving you more of a laptop feeling experience. You’ve got traditional keyboard shortcuts like Command+Tab to pull up an app switcher and basics such as Cut, Copy and Paste. Some apps also have custom shortcuts like Tweetbot, for quickly switching between tabs. It is surprising how something so simple as this immediately makes this iPad feel like a laptop. It’s not perfect though. 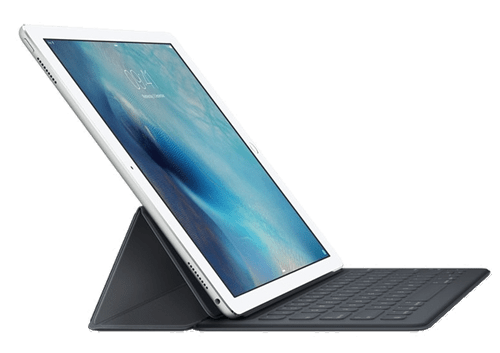 There are small quirks that stem from iOS expecting a software keyboard, but as a 9.7″ tablet, the biggest restriction is just its size. The keyboard is noticeably smaller than normal which makes some getting used to. There is decent spacing and a reasonable amount of key travel, but it feels more like the 12″ MacBook keyboard than a traditional laptop. There’s also the Apple Pencil. For people that are artistic and really depend on these types of accessories, this is said to give you better precise controls, this doesn’t really matter that much in some apps, but in some apps it definitely does. In any kind of drawing app having pressure, sensitivity is vital, it also measures that control. 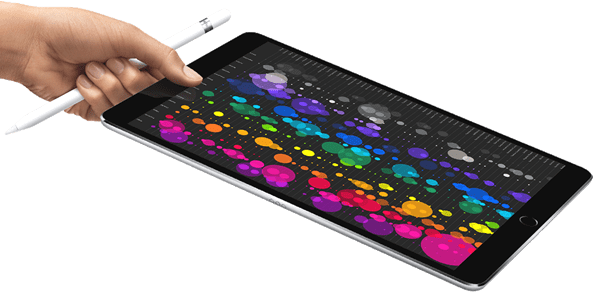 The question comes down to this: if you are a person that consumes a lot of data, the Apple Pencil may not be that important. For those that input more data into your iPad, it’ll definitely come in handy. Not all of the changes are about productivity. 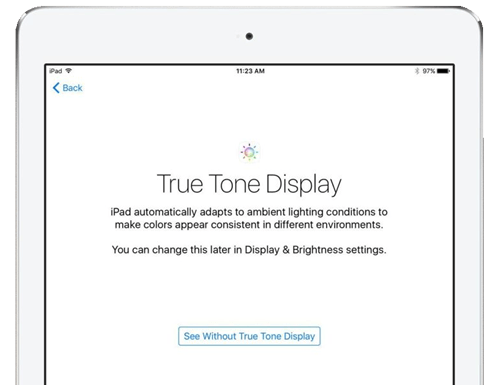 While the screen is still the same size and resolution, it’s been upgraded with an expanded color gamut and an interesting feature called True Tone. This uses a series of light sensors to not only adjust the brightness depending on your surroundings but also the color temperature. It warms up the screen when you’re in normal lighting and cools it in other situations. 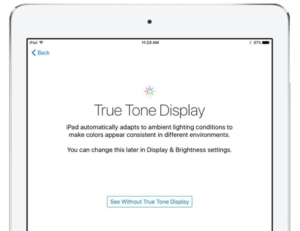 You’ll probably want to turn things off if you’re working with things that rely on accurate color. But it does a good job of making the screen easier on the eyes. Arguably, the bigger upgrade is on the audio side. We’ve now got a pretty impressive four-speaker setup. Not only does this deliver stereo sound, but the volume is significantly louder compared to previous iPads. The camera has also seen a major upgrade. It’s the same 12MP unit from the 6S Plus. While this doesn’t do anything to make you less ridiculous looking for using an iPad to take pictures, at least the photos you take will be solid. The video is no joke either. You have the same videos modes from the latest iPhone, including up to 4K recording. It seems crazy but the iPad Pro could actually make a pretty solid all-in-one video shooting and editing machine. Consequently, that’s one of the things that makes this such an interesting product. As a tablet, it doesn’t really get much better. This is a killing consumption device like iPads have always been. 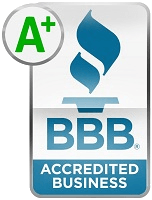 It’s also made major strides toward becoming something you can do real work on. Opinions vary, but as ridiculous as using an iPad to replace a PC sounds, it’s actually kind of doable. Of course, varying on your personal needs.